How many times have you missed an anticipated package delivery only to wait days for that one moment when the stars align and the delivery comes while your home? Or maybe that special moment never comes, and the package you’ve been waiting for is returned to its sender. SmartBox Co., Ltd. is revolutionizing the distribution industry to solve that problem. The company, founded in 2013 and headquartered in Seoul, Korea, manufactures the “SmartBox,” a high-tech locker that applies IoT technology for unattended parcel delivery. It’s the world’s first Internet of Things-based delivery locker. And unlike traditional kiosk lockers, the SmartBox is more convenient, independent, and economical. When parcel arrives, the delivery-person enters a mobile number and places the package in a secure locker. The recipient gets an SMS message with a password to open the secure locker. Using Digi XBee® wireless modules and gateways, SmartBox can work with either unmanned delivery destinations or traditional lockers. Each SmartBox locker is equipped with an XBee module that provides connectivity and intelligence to permit/forbid access to lockers based on single-use codes. A single Digi XBee gateway carries backhaul traffic to SmartBox’s operations center where lockers can be monitored and maintained centrally. That gateway also sends SMS notifications to package recipients. 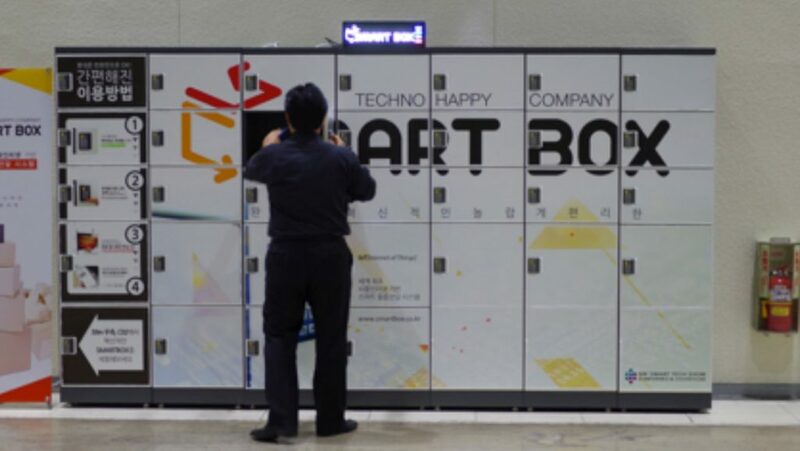 More than 3,000 SmartBox lockers have been installed in apartments, college dormitories, public offices, office buildings, and subway stations across South Korea and Japan. Interested in learning more about SmartBox and how the lockers utilize Digi XBee modules?